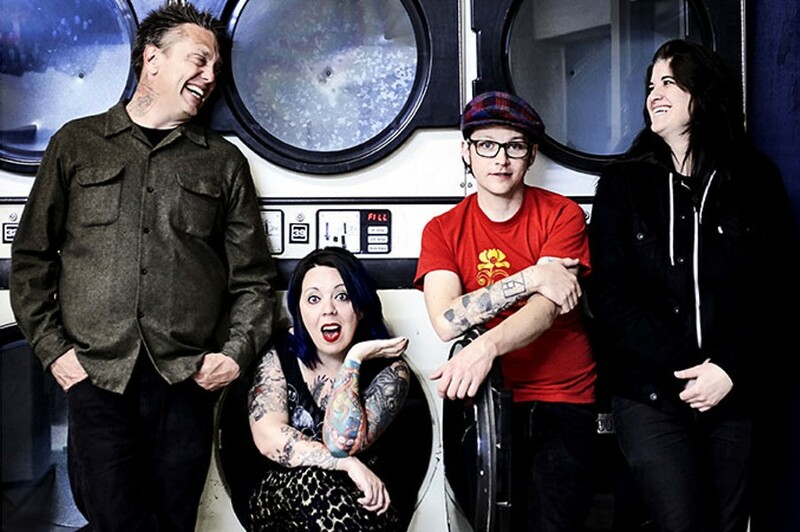 Year of the Fist brings punk to the Alibi Saturday, Aug. 27 at 11 p.m. In a previous Setlist, I mused on what qualifies a band as local. Now, I won't wade into those waters again, but on a somewhat related note, I've been wondering why it matters where a band is from. Unsure of exactly how much that information matters, I will admit it scratches an itch. The question of where that itch comes from popped into my head after catching a bit of a movie my wife was watching in which an actor played Pablo Picasso. Now I won't claim to be very knowledgeable or even close to an academically credentialed visual art lover, but I realized that I wasn't sure where Picasso was from. Spanish, right? That's all I could come up with. Paul Gaugin? Beats me. Vincent van Gogh? Dutch or something, right? Jackson Pollack? American, easy. Where in America you ask? I'll get back to you. My point isn't to show off how little I know about the geographical homes of famous visual artists, but that perhaps it isn't that important. To you art historians, I know it's important, but to us lay people, we're lucky if we can name an artist's native continent. Is it different for musicians and bands? I like music more, so it makes sense that I know more. We know what town in England The Beatles are from (Liverpool), we know Zeppelin, Floyd and The Stones all formed in London. We know The Eagles, Buffalo Springfield, The Doors, The Byrds, Guns and Roses and so many others were Los Angeles bands. The Grateful Dead, Jefferson Airplane, The Steve Miller Band, Santana and Journey all formed in San Francisco. Hell, some of us even know Creedence Clearwater Revival is from El Cerrito in the East Bay. We could list the New York bands, the Boston bands, etc. Why is that? Is music more accessible? Does the location have more of an influence on music than visual art? Just as we could say that there is a sonic thread connecting much of the music of Jackson Browne, The Eagles, and The Byrds — that "So-Cal sound" — I imagine a real visual art fan could say the same for artists from a particular era in Paris. But doesn't the music, painting, ceramics or sculpture speak for itself? Sure, but for some reason I still need to put a band in some context, whereas I don't really need to know where the juggler, painter or actor whose art I'm experiencing is from. Perhaps it's just my subjective taste. If you are interested in where bands are from, check out the list below. Many are from here. Some are not. Some used to live here and now live somewhere else. Some are beyond description — like Jehovah's favorite choir — but their music will fill in the rest. You'll find some award winners tonight at Humboldt Brews in Arcata around 9 p.m. With not only a Telluride Bluegrass Festival Band Competition to their titles, but an Emmy soundtrack win (through PBS) doesn't hurt either, Trout Steak Revival not only sounds tasty, but like a good time. Kick this weekend off early and turn the grass blue for only $10. I'm seeing a 7 p.m. start time for a show at The Lil' Red Lion. Local hard-rockers War Möth and surfbilly rocker Roland Rock will be providing local support to somewhat former locals, The Beer Scouts. The band makes its Humboldt debut tonight, but all three members used to call Humboldt home and would rock around the area back in the mid '70s. For those of you who were checking out shows then, you may recall the bands Rolls Rock, Mr. Science and Rolling Bob. Beer Scout bassist Rob tells me members of this power trio have shared the stage with Van Halen, Jeff Beck and Bob Dylan — an impressive resume. The Beer Scouts play originals and covers, all generally influenced by "the Beatles, Brownsville Station, Cheap Trick, the Smithereens, Grand Funk Railroad, Chuck Berry and even the Monkees!" Rob also tells me that in a quest to bring the "fun back to rock 'n' roll," The Beer Scouts' official motto is "Will Rock For Beer." I may have seen that on a cardboard sign on the plaza. Anyway, welcome these fellas back at this free show. Local hardworking Americana trio Kingfoot will help you get on the good foot tonight for free at Redwood Curtain Brewery around 8 p.m. Remember, if you're enjoying the tunes and you can spare a few bucks, feel free to leave a tip. Local band Neighbors has just released its debut record after playing in and around the local indie music scene since about 2008. These rockers hope you'll come out to celebrate — and pick up a copy of the album — at The Miniplex (in Richards' Goat Tavern and Tea Room) where they'll play some of these newly released songs for you around 9 p.m. for something close to $5. For you reggae fans, heavyweights are at Hum Brews tonight at 10 p.m. Formed in Kingston, Jamaica, back in the '60s and somewhat born out of the Wailing Souls, Black Uhuru is still out on the road grooving audiences. The band counts The Rolling Stones and The Police as fans — as it's opened for both — so show up early to make sure you can get into this $25 show. Openers Onesty are probably thrilled to be on this bill. In Blue Lake tonight are The Delta Nationals, who I'm told are celebrating their 16th year of gigging — their first gig was in Perigot Park at Hoptoberfest — by playing for you at 6 p.m. for free at the Mad River Brewery Tasting Room. Drummer and P.R. Master Paul DeMark mentions to me that "there is nothing like playing together for a long time to create your own feel and sound." I believe it. At the Trinidad Town Hall at 8 p.m. you can find a benefit concert for the Equity Alliance of the North Coast with Paula Elizabeth Jones and [the] RLA Jazz Trio. With the backbone and creativity of jazz with the breath and essence of gospel, this will be a show with some truly talented local musicians. There's a suggested donation of $10 for this event and it goes to a good cause. Missed The Beer Scouts last night? Fear not — you'll catch these beer lovers tonight at Six Rivers Brewery at 9 p.m. for a free show. Local kings of "psych-surf punk" Nipplepotamus return to the Alibi tonight to trip your socks off. I can't remember how many times I've seen this trio the past 10 years or so, but they always put on a great and intense show with a rich underground vibe. 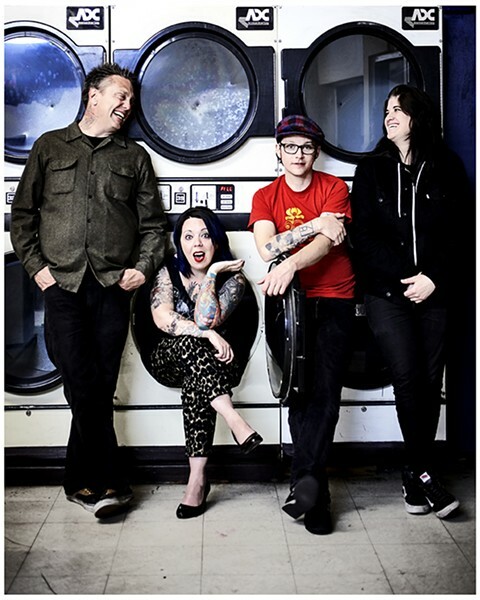 They'll be joined by Oakland punk 'n' rollers The Year of the Fist, who just this month released an exclusively vinyl EP called Dirty Laundry (not to be associated with Don Henley's 1982 hit). Show starts around 11 p.m. and for just $5. You Ramones fans will want to forget about tomorrow morning and get down to The Alibi to hear Seattle's "all-girl tribute to The Ramones" courtesy of The Dee Dees. They'll be joined around 11 p.m. by Grass Valley "queer punk" rock band Slutzville, who take the award for "Band Name that Will Stick in Your Head" this week. It's $7 for this Tuesday night show. Have a blast. Andy Powell is a congenital music lover and hosts The Night Show on KWPT 100.3 FM weeknights at 6 p.m. He is impressed by London's musical track record.